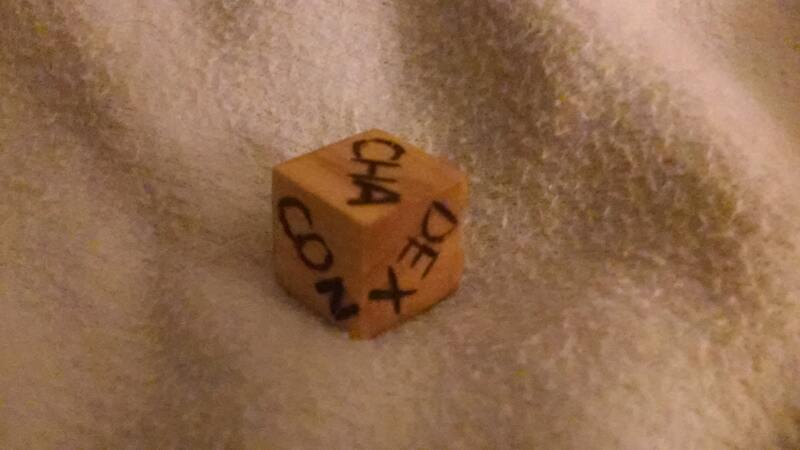 Handburned by our friends at Morpheus Forest, this wood-cut d6 represents the six major statistics used by the d20 / Dungeons and Dragons system - Strength (STR), Dexterity (DEX), Constitution (CON), Intelligence (INT), Wisdom (WIS), and Charisma (CHA). Useful for generating a random target statistic, whether to determine what a particular effect targets (or is resisted by) on the fly, the best attribute of a random hireling, what attribute an adventurer might need to overcome a particular challenge, or whatever else your fertile gaming imagination can come up with. All Morpheus Forest woodcut dice are made from natural hardwood with details burned into the surface manually, making each die unique. Dice are rubbed with polishing oil to ensure a pleasant feel and smell, and are tested for balance and uniformity as part of the manufacturing process. 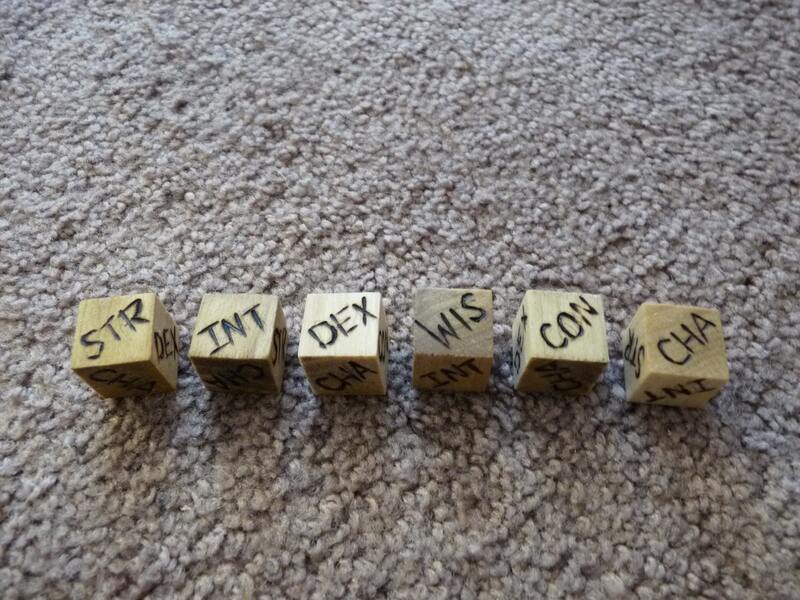 Specific wood types vary from dice lot to dice lot, so please inquire if you are looking for a particular wood type for aesthetic or functional reasons.